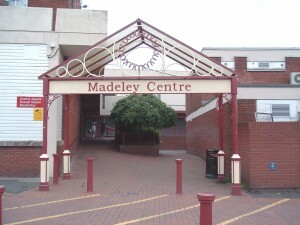 I grew up in Madeley, just a 5 minute walk from the shopping centre. Going there was a bit like visiting an old relative who wasn’t very well off; it was comfortingly familiar, but you always left feeling glad that you didn’t have to stay there longer. Of course, there are still people living in the area who remember Madeley before developers decided it needed to be buried in blocks of concrete in the 60’s. My mum still remembers when it was a little village, with a blacksmiths at the end of the street. It’s hard to imagine it now, but still, if you know where to look, there are a few remnants of ‘old’ Madeley, like the Anstice, the little jewellers shop, and many of the buildings on the high street. 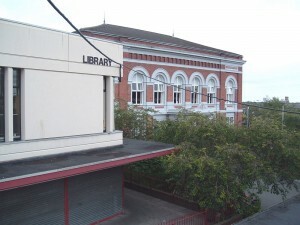 More recently, the shopping centre has undergone yet another radical facelift. In 2009, the main shopping centre, save the mall and a handful of smaller retailers, was flattened, the road re-routed, and a Tesco planted where the old car park used to be. A lot of money was spent. To make up for the inconvenience of not having all the facilities a bigger Tesco would, they built some nice new shops, and now the Chemist has moved, and there is a Domino’s Pizza. From a consumer’s point of view, this is all very nice. Aside from having to navigate the road going through the middle because there is no proper crossing, it all works very well. You can get everything you need from a well-known and trusted brand, and other stuff is within easy reach too. There’s a lift which takes you up to the library (which hasn’t been included in the modernisation, and still looks exactly as it did when I was 6). They still have a market in the middle, although it has shrunk considerably. The car park now has proper spaces for disabled people, and you can walk across it without falling in a pot-hole. And what’s more, that’s not the end of it. Telford & Wrekin Council have plans to redevelop the old Madeley Court Sports Centre site, which has been unused since the new Madeley Academy was built in 2009. These new plans promise to bring up to 140 new homes, play facilities, and a new doctors surgery to replace the old one on Church Close. They also say it will create “commercial employment opportunities”, although I’m not sure how. All of this makes me wonder what the future holds for Madeley. How it’s grown from a humble village, to a modern town, which is growing fast, and shows no signs of slowing down. Is it a good thing, though? Has it lost its quirky personality, to become a clone of so many other towns across the country? Or is it just doing what it needs to do to survive? What do you think?